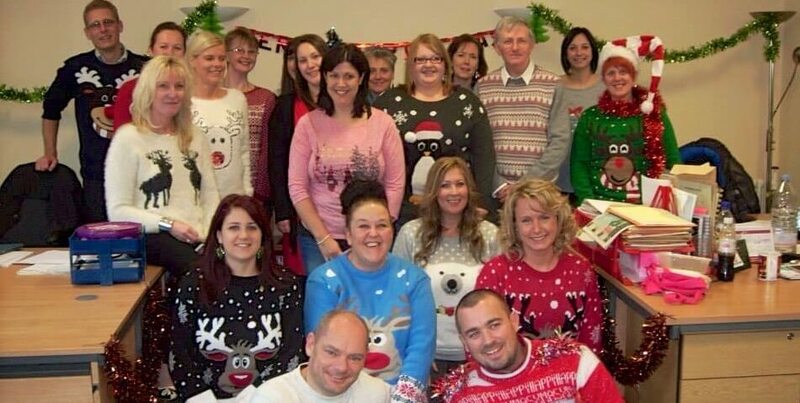 We’d like to say a big thank you to Emma Parker and her colleagues at Torfaen County Borough Council Education Department who this week wore their Christmas Jumpers to the office! They raised a fabulous £322 in memory of Emma’s husband Rhys who recently lost his fight against lupus. Every penny raised will be used to help The Hibbs Lupus Trust provide support to the those affected by lupus. Whether at home, at school, at work or at your local club, there are so many ways you can raise money for The Hibbs Lupus Trust and have fun at the same time! Find out more!